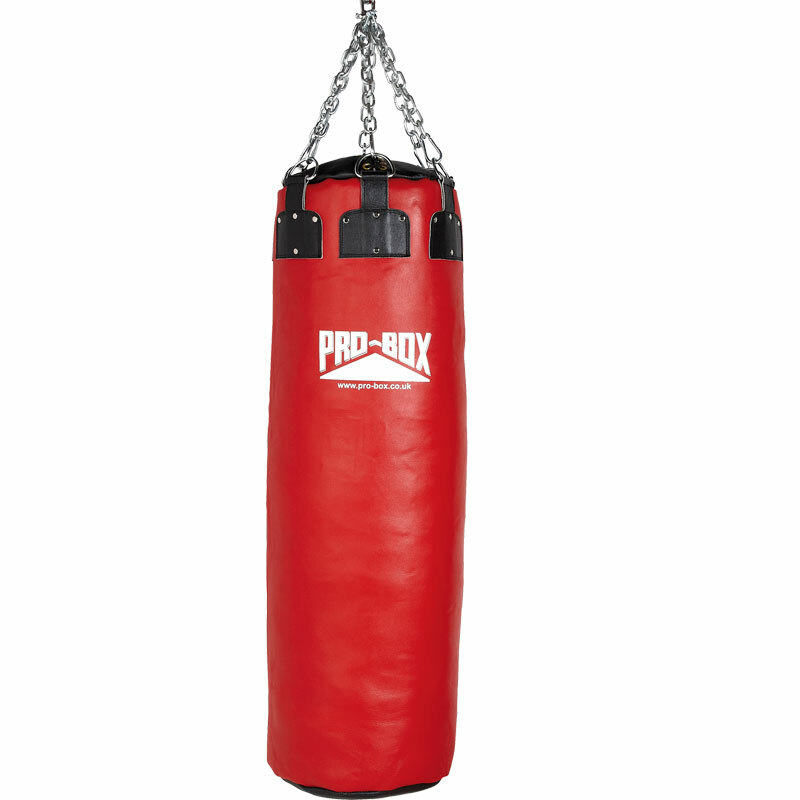 The Pro Box Red Colossus Leather Punch Bag is ideal for heavy hitters. It's padded and filled with textile to reduce hand injury and increase shock absorption and constructed from the finest glossed leather hides this is a punch bag that will help hone your skills. Complete with 'D' rings for attaching hanging chains. Size: 56" high x 17" diameter (142cm x 43cm). Requires 6 Chains to be ordered separately.